Sarah Palin with her husband Todd Palin and family on vacation in Hawaii. Sarah Palin announced Thursday evening that she has cut short her vacation in Hawaii after paparazzi snapped a picture of her wearing a marked-out McCain campaign visor, Politico reports. Palin reiterated her insistence that the visor was not, as TMZ had asserted, a political statement slighting her former running mate, and said that her family decided to head home early because the media attention was annoying other vacationers. Sarah Palin, then Sarah Heath, left, with classmate Stacia Crocker at a dorm party at the University of Idaho. [Palin] is equally circumspect on the issue of ethnicity, pointing out that Todd, whom she met in high school, is “part Yupik Eskimo” and opened her to the “social diversity” of Alaska. (Wasilla is more than eighty per cent white.) Palin, though notoriously ill-travelled outside the United States, did journey far to the first of the four colleges she attended, in Hawaii. She and a friend who went with her lasted only one semester. “Hawaii was a little too perfect,” Palin writes. “Perpetual sunshine isn’t necessarily conducive to serious academics for eighteen-year-old Alaska girls.” Perhaps not. 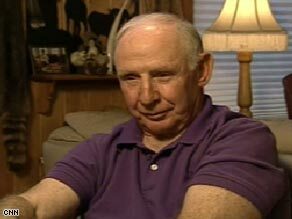 Chuck Heath, father of Sarah Palin. Based on recent comments from her father, it appears that Asian Americans are partly responsible for Sarah Palin‘s spotty undergraduate career. Palin’s father suggested that she left her first school in Hawaii, ultimately attending four different colleges before graduating, because there were too many Asians in the tropical paradise. Which made her uncomfortable. 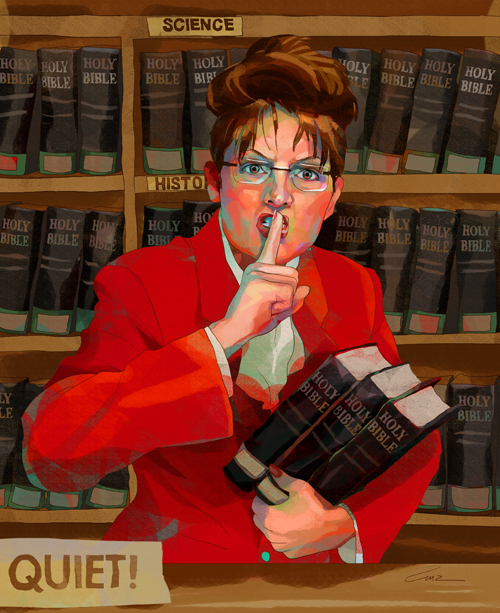 Apparently, Palin felt much more comfortable studying in Idaho. Learning this about Palin doesn’t surprise me in the least. Maybe she couldn’t make out all those Asian Americans in Hawaii from looking outside her window in Alaska. 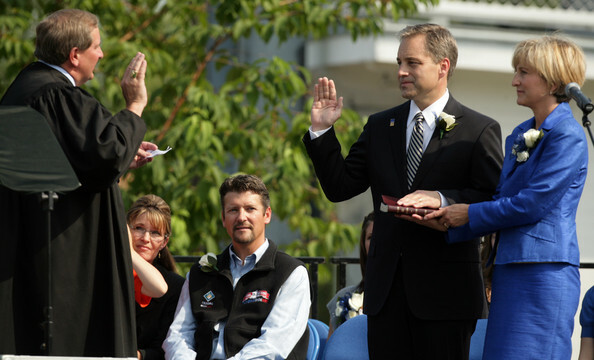 Former Alaska Public Safety Employees Association Executive Director John Cyr (left) and Alaska State Trooper Mike Wooten, Sarah Palin's former brother-in-law and the trooper at the center of the Alaska Govenor Palin Troopergate Scandal. 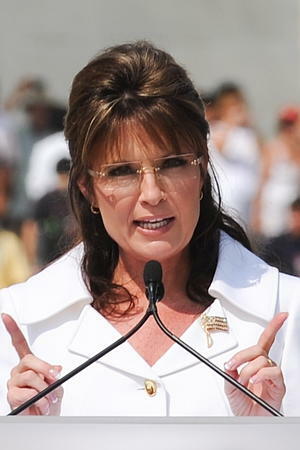 The Alaska State Trooper at the center of Sarah Palin‘s so-called “Troopergate Scandal“–which impeded her run for the vice-presidency and stained her record as Alaska governor–has broken his more than year-long silence since his embattled divorce with Palin’s sister, Molly, became a cause celebre during last year’s presidential campaign. Characterizing his adversaries as “snakes,” Wooten said he has kept quiet long enough. “From this point on I’m speaking my mind,” he declared. “I’m speaking the truth. Let the chips fall where they may.” He acknowledged that he is considering taking legal action against Palin on multiple fronts.